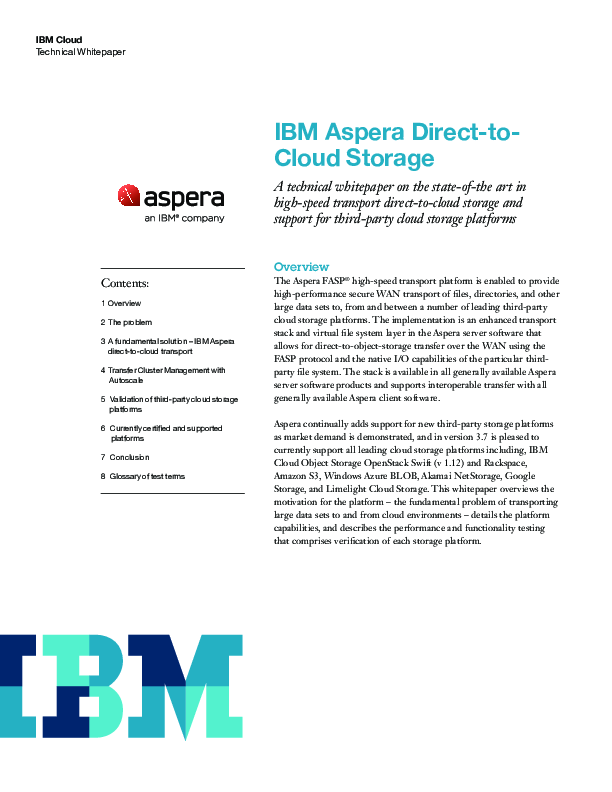 The Aspera FASP® high-speed transport platform is enabled to provide high-performance secure WAN transport of files, directories, and other large data sets to, from and between a number of leading third-party cloud storage platforms. The implementation is an enhanced transport stack and virtual file system layer in the Aspera server software that allows for direct-to-object-storage transfer over the WAN using the FASP protocol and the native I/O capabilities of the particular thirdparty file system. The stack is available in all generally available Aspera server software products and supports interoperable transfer with all generally available Aspera client software.